Tim Duffy (Mid-Evenings), Lukas Kaiser (Spike TV), Sue Smith (Best Week Ever), & John Szeluga (Super Live Adventure Podcast) present Amazingtown Comedy - a weekly free comedy show at Bunga's Den - 137 W. 14th Street in Manhattan. Come see some of NYC's best comedians at a fun bar with great drink specials this Tuesday, May 26th at 8:00 PM. On the show this week: Nat Towsen (VICE), Josh Gondelman (Last Week Tonight), Kevin Barnett (Friends of the People), and Diana Kolsky (Chris Gethard Show)! Show up early to throw your name in the bucket for a chance to win FREE DRINKS! Plus killer drink specials and a free open mic! 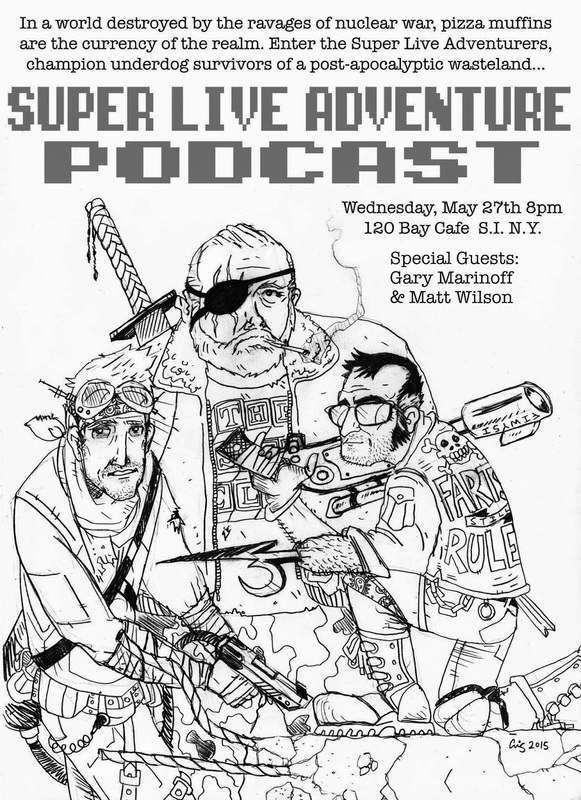 Bryan McGuckin, Christopher J Sorrentino and John Szeluga will be recording a new episode of the Super Live Adventure Podcast at 120 Bay Cafe this Wednesday, May 27th at 8:00 PM. Come be a part of the live audience as they welcome their special guests, Matt Wilson (How I Waste My Time) and Gary Marinoff (30 Rock, Unbreakable Kimmy Schmidt). Free admission. To listen to past episodes, visit www.SuperLiveAdventure.com.